Clients appreciate Kamron’s unique litigation skills, including working with opposing parties to diplomatically resolve conflicts. 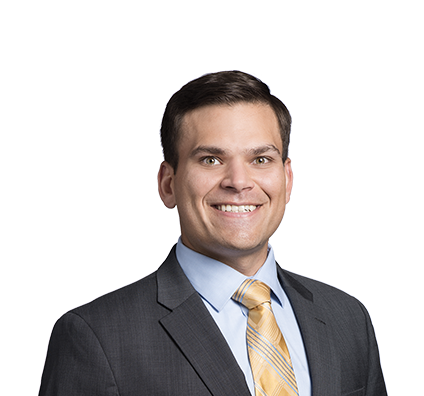 Kamron attributes his innate skills as a litigator to his diverse background, his real-world business acumen and his economics education. He handles clients’ commercial and employment litigation issues so they can remain focused on their business goals. An advocate for clients, Kamron sees litigation as an aspect of business that must be run effectively and efficiently to allow business to succeed. His goal is to distill complex legal situations into a business-focused explanation for decision makers. Kamron has appeared in state and federal court at all procedural stages in a variety of matters involving commercial and employment litigation, including cases involving claims of breach of contract, trade secrets, business torts, federal and state discrimination and retaliation claims, and responses to Equal Employment Opportunity Commission (EEOC) and Nebraska Equal Opportunity Commission (NEOC) complaints, among others. During his final year of law school, Kamron served as a legal intern for The Hon. Joseph F. Bataillon, U.S. District Court, District of Nebraska. Farmobile, an independent farm data company, faced allegations that it misappropriated trade secrets from competitor Farmers Edge. The lawsuit sought a judgment declaring the plaintiff to be the owner of certain Farmobile intellectual property. Persuasive argument by the Husch Blackwell team, led by Marnie Jensen and including Kamron Hasan, resulted in a complete victory on summary judgment for Farmobile. Kamron and his wife enjoy playing golf and other outdoor sports together. When the Nebraska weather forces them indoors, they cook experimentally, including smoking and curing their own meats. Kamron supports the sustainability of Omaha’s public green spaces by serving on the Advisory Committee of Keep Omaha Beautiful. The organization partners with the community and the city to identify goals, projects and areas of growth for sustainability. He also serves on the Board of Directors for Nebraska Appleseed, a nonprofit organization that fights for legal justice and opportunity for all Nebraskans.